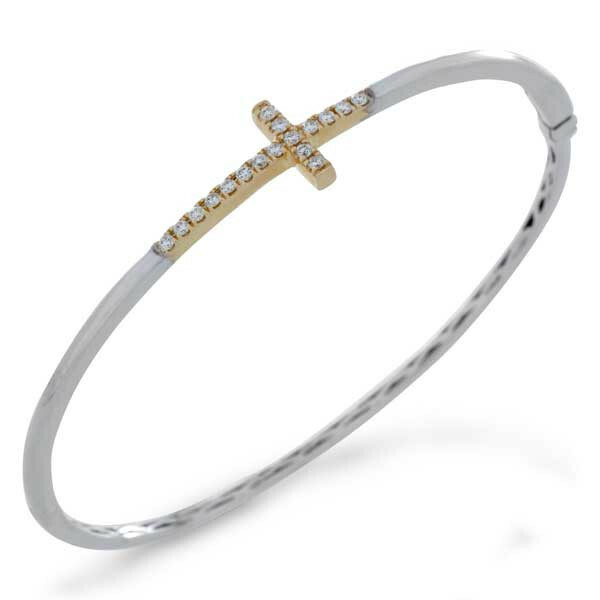 This sideways diamond bangle will renew your faith in fashion while proclaiming your own. The bangle itself is fabricated in 14kt white gold, and a cross crafted in 14kt yellow gold is embedded within the bangle. White diamonds glow from the cross to give this piece a glorious sparkle. You'll love the addition of this sideways cross to your style.